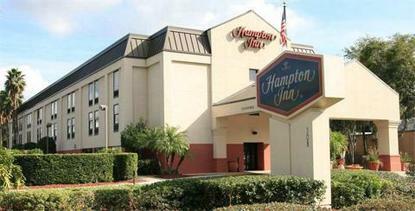 Hampton Inn DeBary-Deltona is located just off I-4 (east and west) at Exit 108(DeBary), half-way between Orlando and Daytona Beach. We are 35 miles from Orlando International Airport and 25 miles from Daytona International Airport. Local attractions include St. Johns River-Lake Monroe, shopping malls, LPGA golf headquarters, and Daytona International Motor Speedway, 25 miles northeast of the hotel. Within .4 mile you can dine at IHOP, Burger King, McDonald's, Waffle House or Harry's.